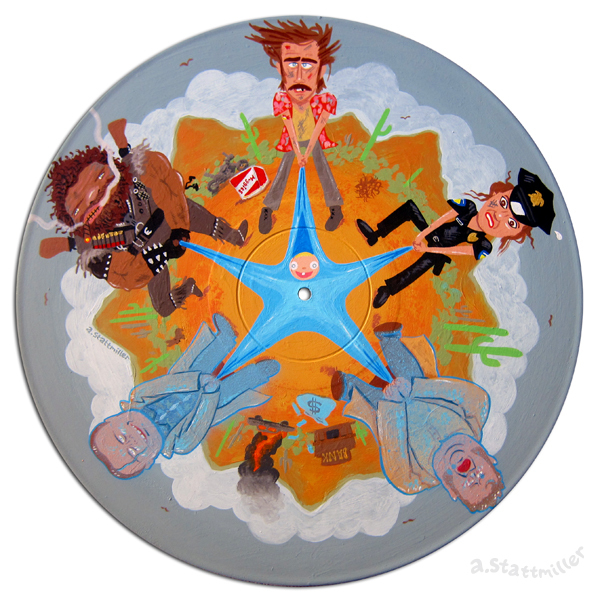 Raising Arizona is one of my favorite Coen Brothers movie. That's why I had to paint this (on a vinyl record too)! It will be hanging in a Coen Brothers tribute art show called "Coen-ciding Sociopaths.